Be inspired by colours in a new perspective and new combination as you have never seen before! 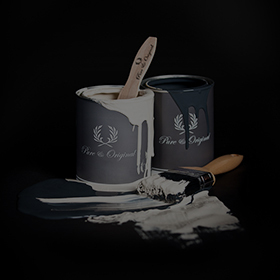 We present.. our ‘Colour collection’! Homes in various styles are transformed into a true colour explosion, without the overload, without the crowd. 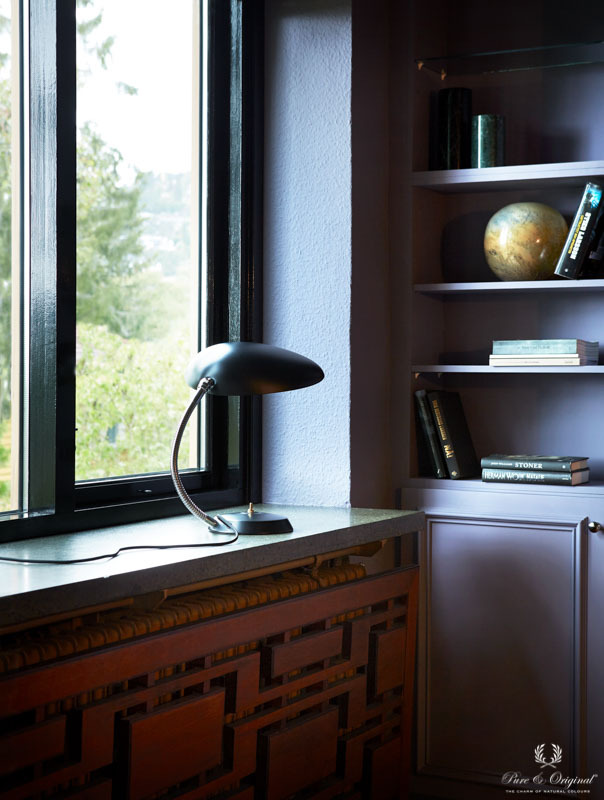 A calm interior full of depth is created by using the right colours on the right places, in the right combination. The home is a reflection of the people who live in it, place your heart in the interior and it will come to life. 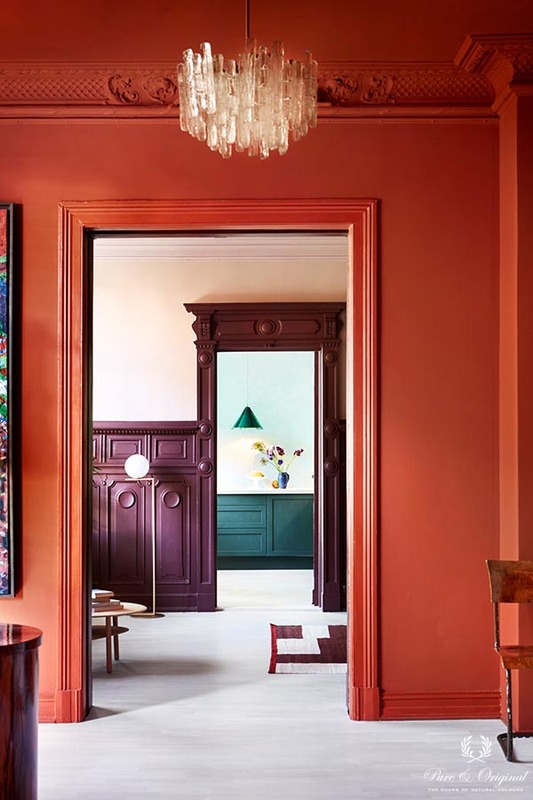 White walls and ceilings are a no-go in these collections, do you dear to go ‘Colour Collection’ all the way? 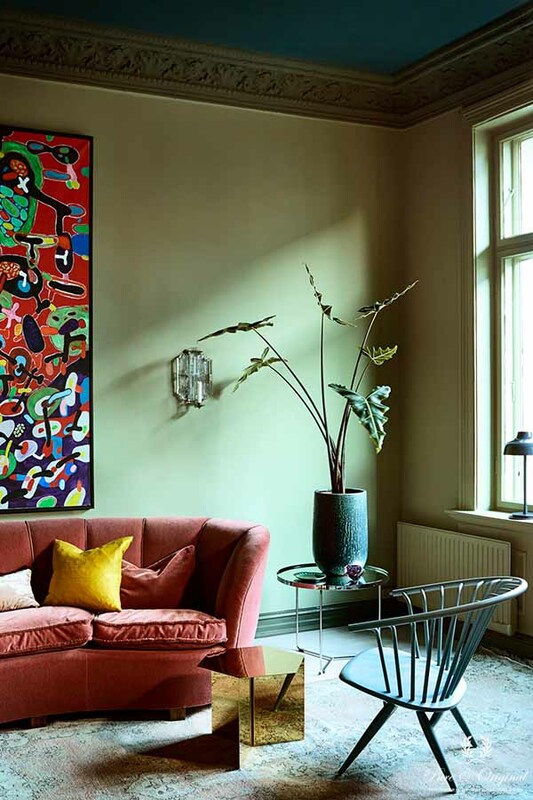 A classic apartment in the centre of Oslo is transformed into a true colour-paradise. Be embraced by warmth, a harmony of versatile colours which invite you to come in, from wherever you are. The apartment is decorated with rich tints in a width spectrum of green and blue all the way up to pink, purple and red. Be inspired by the ’30s! 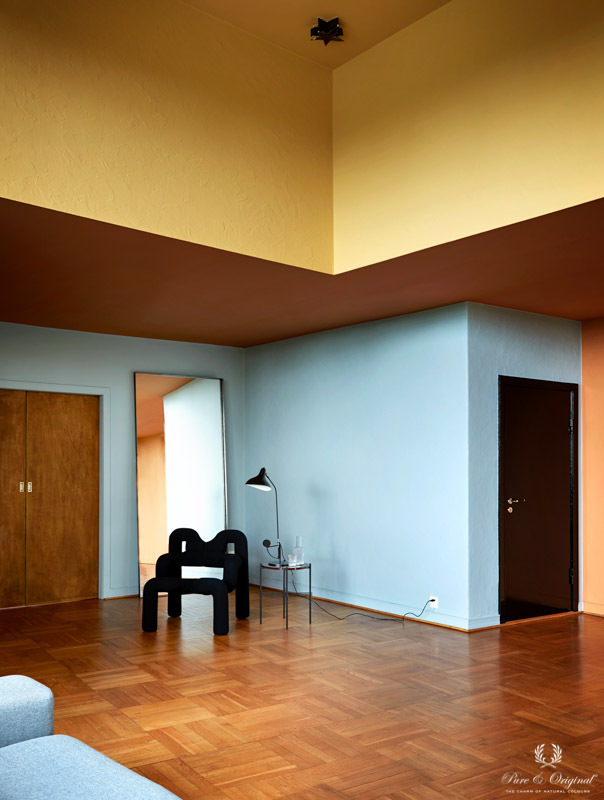 Colour blocking is thé trend for every modern interior. Coloured ceilings, dark high gloss doors and design furniture, it’ s all there. Tints such as orange, blue, black and yellow are leading in this collection.